On January 23, the School welcomed former Windward Biology teacher Tom Haglund back to campus as part of the Seventh Grade Challenge Based Learning project. The project, which began with a discussion on improving human movement by Not Impossible Labs' Mick Ebeling, as well as a feature on transportation in conjunction with Windward's Center for Teaching and Learning, moved on to the third part of the series—migration. 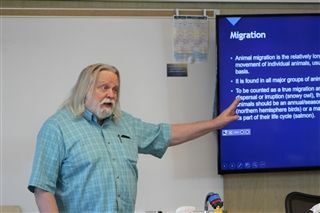 Tom, who taught at Windward for 35 years, was on hand to discuss the specifics of animal migration with students. He covered the types of migration that exist, the dangers migrating animals face, and the conservation-related issues migration might present, as well as solutions. 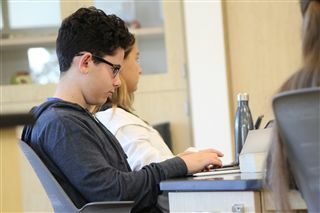 That discussion was then spun off into a larger conversation led by the Seventh Grade Science team as they, working with Windward's History department, encouraged students to explore the why's and how's of human migration, as well as the challenges they might encounter. Thank you to Tom for his time and expertise!